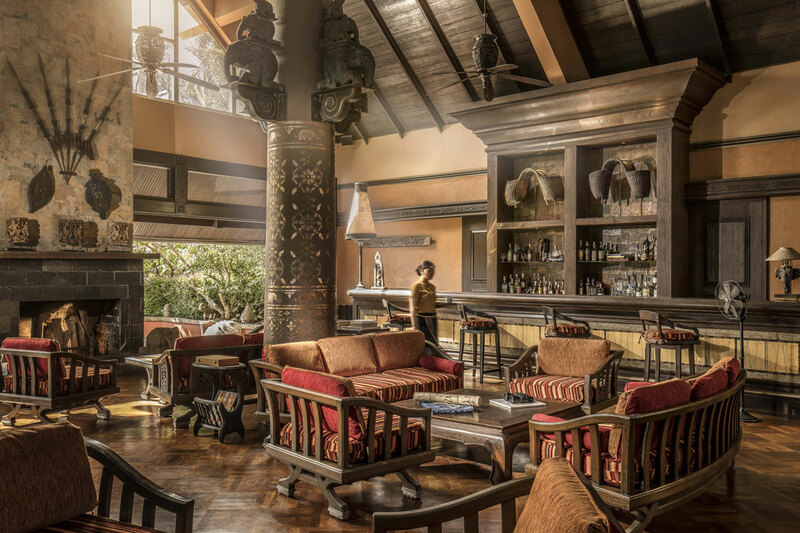 Anantara Resort and Elephant Camp explore the enchanting world of elephants at Asia’s premier Elephant Camp. Situated in the north of Thailand in the middle of the Golden Triangle, a region that borders Myanmar and Laos. The gorgeous resort is tucked on an edge overlooking lush green jungles, mountains and an elephant camp. Established in 2003 as a traditional mahout village, the camp works alongside the Golden Triangle Asian Elephant Foundation to perform street rescues, provide employment and a comfortable lifestyle for elephants and their entire mahout families. You can also experience a taste of authentic mahout life as you take part of their daily routine and many more activities throughout your stay. Rooms, suites and family suites with breathtaking 3 Country View… Enjoy breathtaking vistas from the beautifully finished rooms and suites as you recline on crisp day beds and watch elephants grazing in the distance, the sound of birdsong playing over the Mekong and Ruak rivers. 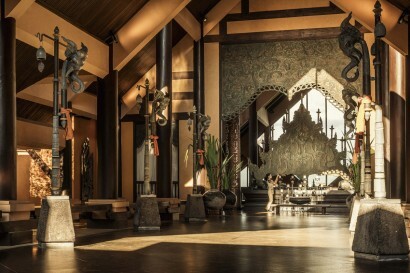 The resort is ideally located at the convergence of Thailand, Myanmar and Laos. Whether you are looking for historical, cultural or adventurous pastimes, the Golden Triangle retained its mysterious allure. Having on site Elephant training camp, the resort holds the concept of adventure deep into lush bamboo jungle with a rare glimpse at life in a traditional mahout’s village. The Elephant Camp at Anantara Golden Triangle Resort & Spa is designed along the lines of the traditional mahout’s villages found in the hills of Northern Thailand in the days when logging employed the majority of Thailand’s elephants. Stunning 160 acre grounds of our breathtaking natural surroundings. Set amid acres of bamboo forest, beautifully landscaped gardens and lush mountainside jungle. 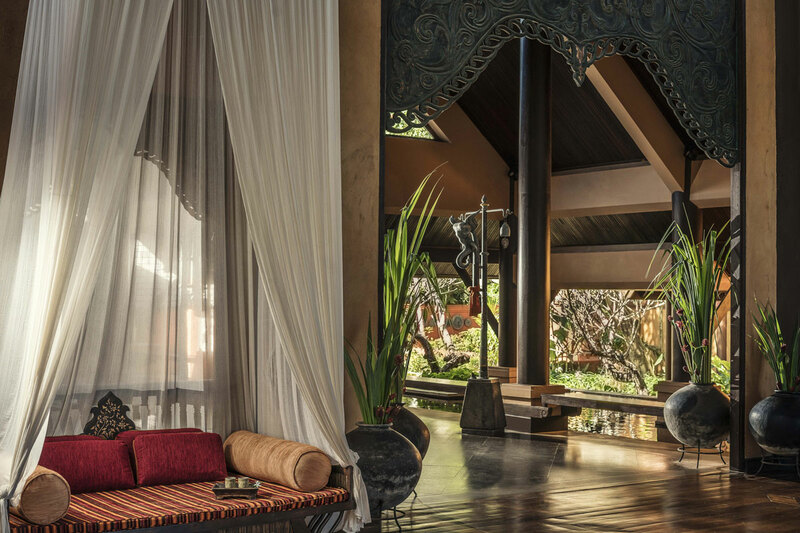 Anantara Golden Triangle features superbly composed décor and Bill Bensley designed gardens.Variety of activities provided, from Spice Spoons to area excursions.… Take home a taste of Thailand by learning the secrets of this ancient cuisine. 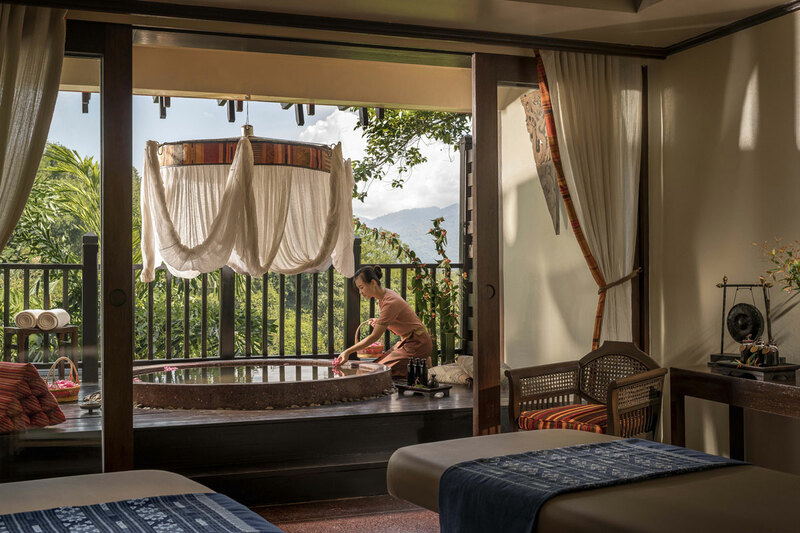 Days at Anantara can be as laid-back and relaxed or as action packed as you desire with our exceptional collection of resort activities. 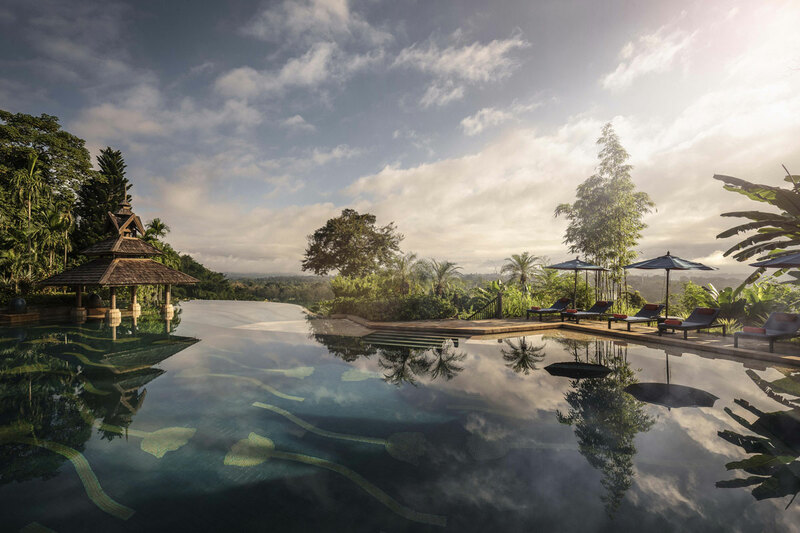 Tucked into 160 acres of ancient jungle in Northern Thailand, Anantara Golden Triangle Elephant Camp & Resort rests on a hill overlooking the convergence of two rivers and three countries, Thailand, Laos and Myanmar that has been inspiring writers and artists for centuries. Whether you are looking for historical, cultural or adventurous pastimes, Anantara’s location in Chiang Rai is unbeatable, with a wealth of local attractions in the nearby vicinity, including the Hall of Opium museum, The old Lanna capital Chiang Saen and the borders to Laos and Myanmar. The natural and cultural merge at our unique onsite Elephant Camp, modeled on traditional mahout villages and home to the resort’s very own elephants. 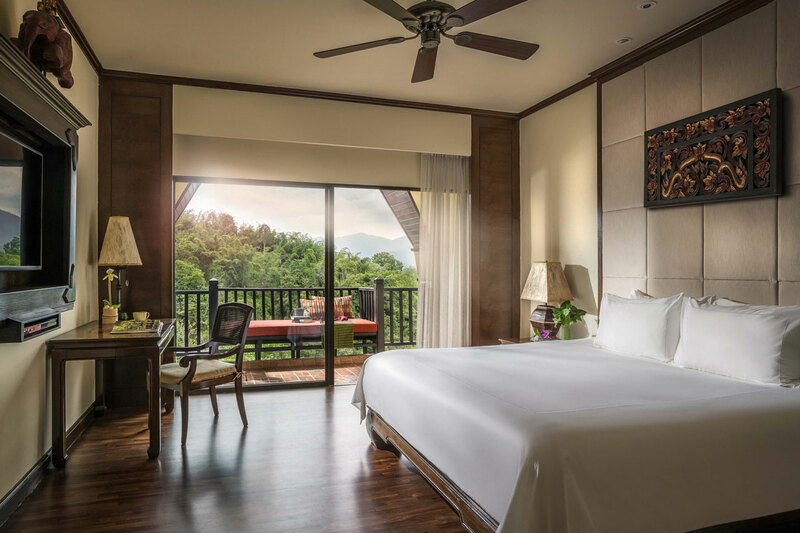 Wake up to crisp mornings and step onto the balcony for views of the mist rising off the hills of Myanmar, Laos and Thailand. Lustrous teak floors and brilliant Thai silks accent all forty four Deluxe 3 Country View Rooms. This traditional elegance also comes with a flat screen TV, an oversized terrazzo bathtub and a collection of additional luxury amenities. 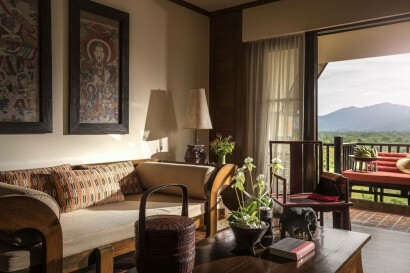 Spacious, elegant and serene, the fourteen 3 Country View Suites are the ultimate in romantic indulgence. Nestle among plump cushions on the balcony daybed, as you breathe in the fresh air rising up from the rolling green hills. 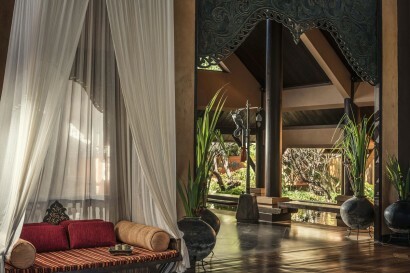 In the bedroom, beautiful Thai artwork, teak wood carvings, hardwood floors, plush linens and lounge. 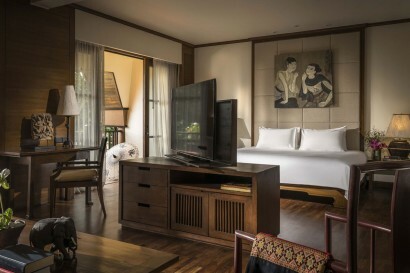 Designed with a family’s total comfort and convenience in mind, these expansive suites comprise a Deluxe 3 Country View Room interconnecting with an even more spacious Anantara 3 Country View Suite to offer both privacy and a shared family experience. Luxury accommodation including all meals. 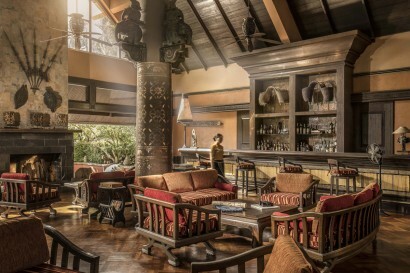 Daily breakfast, lunch and dinner inclusive of beverages to be enjoyed at any restaurant, including in-room dining. 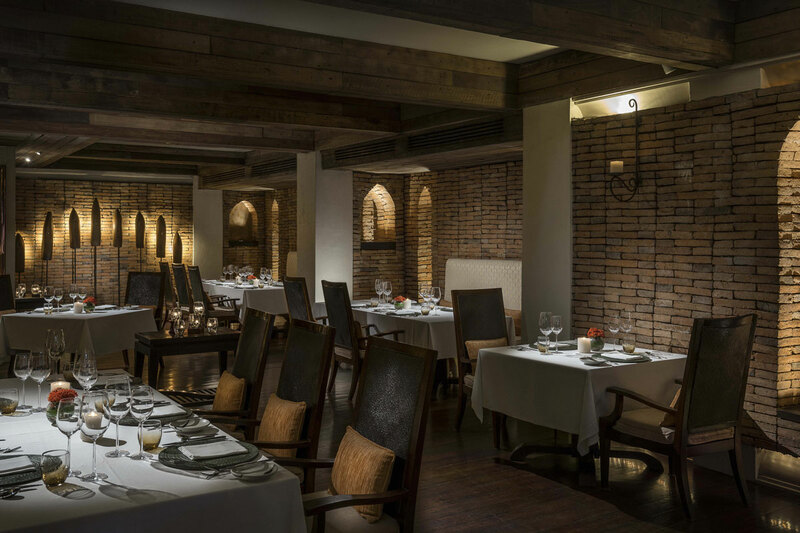 The spacious Mae Khong Room is large enough to host a company retreat, conference, banquet, seminar or other event of your design, complete with an outdoor terrace for breakout sessions. For a more intimate gathering of top-level business associates, an individual department, or small board meeting, our Rim Khong Room provides stunning views of the rolling green hills of Golden Triangle. • Elephant Camp Experience. Choose from the Elephant Learning Programme, or Walking with Giants. • Spice Spoons – Anantara cooking school, offering a rich and interactive immersion into Thailand’s world famous cuisine. • Golden Triangle Discovery Excursion. Enjoy a tour of rich cultural discovery, complete with your very own car and driver, plus an experienced guide. • Spa Discovery Package. Choose from Bespoke Spa Discovery Package or Exclusive Spa Discovery Package. Designed as a traditional northern Thai Mahout (elephant trainer) village, our onsite working Thailand Elephant Camp is the setting for our most sought after Golden Triangle resort activities, offering the chance to interact with elephants in a stunning natural environment while helping to contribute to the conservation efforts of the resort. Journey into the jungle with our elephants and their mahouts on their daily walk, and watch as these gentle giants splash in the river or play in the mud. While you meander together through the forest, you will learn more about elephant biology and behaviour from our resident veterinarian or biologist and discover more about the past, present and hopeful future for elephants in Thailand. Much more than just a cooking class, Spice Spoons offers a rich and interactive immersion in Thailand’s world famous gastronomy, renowned for its artistry and unique four flavour balance of salty, sweet, spicy and pungent. Enjoy a guided local market experience, as well as coffee with the locals, a visit to a historic temple to make merit, and a delicious breakfast picnic in the temple grounds. Return to the resort and tour our herb and vegetable garden. Learn about Thai and Northern Thai cuisine’s cultural significance and health benefits, indigenous ingredients and cooking equipment, as well as convenient replacements to use at home. Enrich your mind, body and soul with the power of Hatha yoga. Be guided by our qualified and nurturing instructors through a series of age-old breathing techniques and gentle stretching and bending postures. 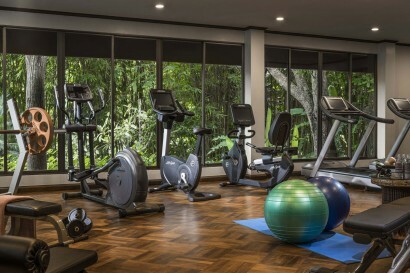 One of our most special Golden Triangle resort activities, these classes are perfect for beginners or experienced yoga practitioners, and you can even book tailor-made classes either in your room or overlooking the resort’s stunning surroundings. Learn to fight with a stealth-like suppleness and powerful strength of mind in the majestic martial art of Muay Thai. Amidst the tranquil grounds, a professional instructor unveils its history and techniques in a full-on hour of training. Become a master in the art of eight limbs, relieving stress and upping your fitness to a new level.